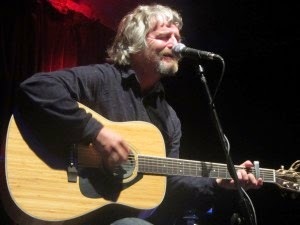 As frontman of I Am Kloot, John Bramwell is one of the celebrated and charismatic band leaders of his generation. 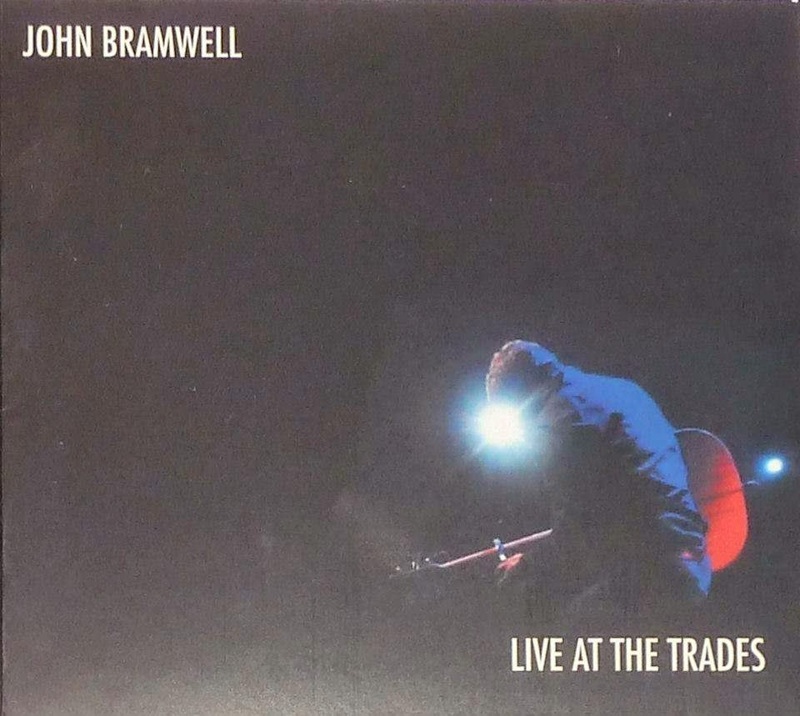 Live At The Trades captures him performing many of the band's classic songs as they were written with just him and an acoustic guitar. For followers of I Am Kloot, the show at which this live set was recorded has gone down in legend. A warm summer's night at Hebden Bridge Trades Club, possibly the greatest small venue in the land nestled in the Pennines on the slow Manchester to Leeds train line, saw John perform for close to three hours in three sets to an audience gradually worse for wear as the evening progressed. There wasn't just the songs that everyone knows and loves so well, but a very special atmosphere of camaraderie between artist and audience and audience to audience. People sang along to tales of drinking and disaster, but also rolled around in laughter at the wisecracks, the stories that accompanied the songs and the heckles and the inevitable caustic put-downs. The night was captured for posterity and whilst it could never create the atmosphere in that smouldering hot room, Live At The Trades is still one of the most compelling live albums that you could ever wish to hear. It strips back the arrangements of Kloot's later work and distills it back to its bare bones, removing the husk of light that the orchestral arrangements use to protect the listener from the deepest darkest thoughts of the performer that are embedded in the lyrics. 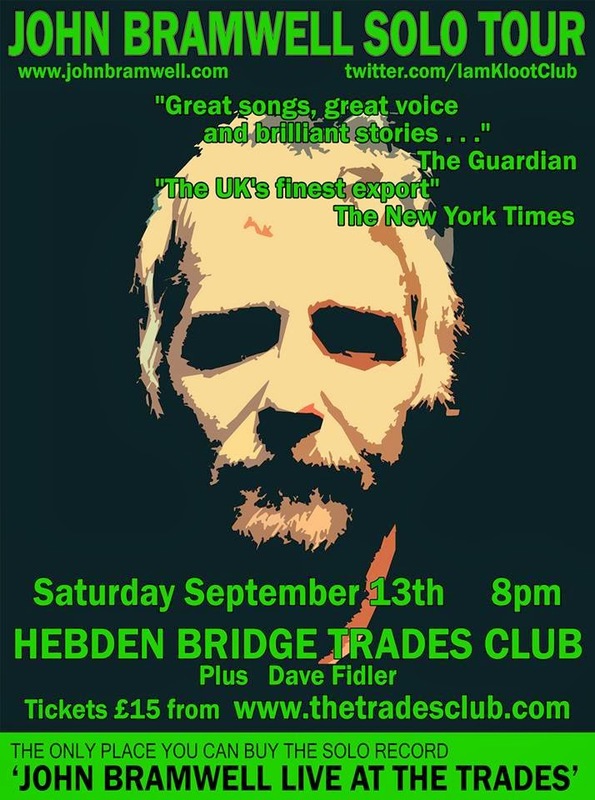 As we've already intimated, the charm of a John Bramwell solo show isn't just in the music but also in his anecdotes and stories. He tells of a gig he did a year earlier at nearby Heptonstall where the beer festival was "one festival, two pubs" and where he got heckled by morris dancers, he engages with the audience to get a drink mid-set and chides them for trying to put him off with cider and offering him a straw and even partakes in jokes between songs with them at various stages. It finishes with him breaking down in laughter at the start of Proof and he has to start again before ribbing the audience for their attempts at singing "like a water buffalo". Northern Skies retains the optimism of the original, but gains a sense of intimacy through John plucking guitar strings with such feeling and intensity that the production of the recorded album can't recreate. The other songs from their Sky At Night breakthrough album, as well as a number from Kloot's last album, the Top Ten hit Let It All In, undergo a similar transformation, the audience sitting in awe and listening to the likes of Fingerprints, To The Brink, Mouth On Me, Masquerade and I Still Do as they were created. You feel that John performing these songs with I Am Kloot affords other singer-songwriters a chance as there's no one that comes close to matching the emotional tidal wave that one man and an acoustic guitar creates on this album. Ferris Wheels and Someone Like You, from Kloot's most under-appreciated album Moolah Rouge, are stripped back from their roller coaster recorded version and recollect the tear-jerking simplicity of the original demos. There's also a serious nod to the earlier days of the band with mid-set acoustic section favourite No Fear Of Falling and The Same Deep Water Of Me, shorn of its signature sax, had people in tears at the front. The guitar is so minimalist on Titanic, it's almost not there, but it has the effect of setting the hairs on your neck on end even through a pair of computer speakers. Whilst I Am Kloot's last two albums have brought them the success they deserve, it's been at the cost of the simplicity of the music accompanying John's words. These songs don't need any adornments, attachments or over-complicated string arrangements, they're perfect just as they are here, naked in their own battered and bruised way. Why build a rocket when you can walk to where you need to get to?